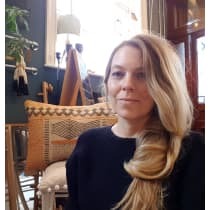 The Deco Shop is located in Machynlleth in the heart of rural Wales and is run by Camilla Norberg. Offering an eclectic product range comprised of British and Scandinavian design, the team are passionate about modern country style in all forms, from cabin to manor house. They also run an interior design service alongside a showroom which is situated locally to the shop. "I'm Swedish so Scandi style is ingrained, but I love the rich history of British design. I think something interesting happens when the two come together. Our shop is organised, but definitely not minimalist. You'll always find something new."